A local, Kansas City property developer purchased a commercial property with the intent of renovating the space for use by local business. The property had otherwise stood vacant for many years, with no upkeep, before the property purchase. The bones and structure of the building were intact and sturdy but lots of additional renovations were necessary to create a new, usable space. These projects can include a lot of different specifications such as: lead based paint, minimal to zero dust exposure, historical renovation and overall integrity of the existing surfaces. Often its the bones and support structure of properties, like this one, that can be restored at a more cost effective rate than new construction or in the event of a historical site cannot be replaced. This situation can cause pain in not knowing how to solve the problem or maybe not having the technology or even ability to complete it within a short timeline. Let us help ease that pain with our solution and relationship building mentality. Our capabilities allow us to solve all of those specifications. This project specified a need to limit dust exposure to the neighboring suites and front entrance to the pedestrian sidewalk. The existing brick walls could not be damaged to the point of potential replacement. The brick surfaces would need to be cleaned and stripped of old paint and buildup with a aesthetic, appealing look while maintaining the structure integrity. Our task was to remove the existing buildup and paint from the barrel ceiling and brick walls to restore the surface to a natural, clean and maintenance free surface. If you or someone you know has a commercial property to restore, renovate and bring back to life then give us a call we can help. We want to help you get the desired outcome in your commercial or industrial restoration project. Maybe you want to renovate an old, unused warehouse into lofts, or maybe your vision is to create a green commercial space from something that hasn’t served a business purpose for many years. Whatever the reason, we want talk to you and find out your goals and desired outcomes in order to facilitate a relationship to make those goals a reality.  We’re Blast It Clean and we are committed to building relationships with solutions in cleaning, stripping, and coating. Thank you for reading our blog. Outstanding Cleaning Equipment & Service Provider Serving the Midwest. Sandblasting, Baking Soda Cleaning & More. Be Part Of The Clean Culture!